CMS Contractors provide services to the whole of the UK for all types of groundworks projects. 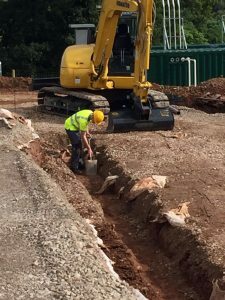 We have a dedicated team of machine operatives and manual workforce which enables us to take on groundworks projects from start to finish. 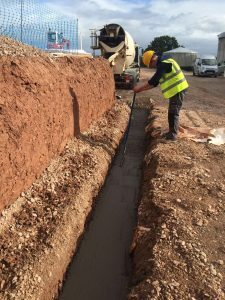 At CMS Contractors we provide the full range of groundworks & civil engineering services expected: from foundation construction, roads, drainage and service work on to footpaths and external paving. Every scheme is undertaken with a high degree of professionalism, ensuring the right solution is safely implemented to meet the client's needs. For more information on any of our services, or to find out a little more about what we do, get in touch today! © 2018 CMS Contractors Ltd. All rights reserved.